Reminder: there’s another Taken movie on the way! The first trailer for the trilogy-maker, which is choosing to go with the quite silly official title of Tak3n (no, seriously), has been released online by 20th Century Fox. 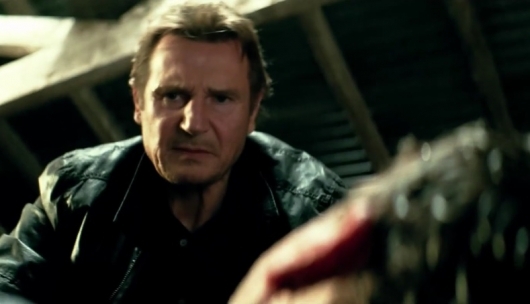 The movie, which once again stars Liam Neeson, Maggie Grace, and Famke Janssen, takes the Fugitive route with Bryan Mills being framed for murder. Also starring is Forest Whitaker, Dougray Scott, Sam Spruell, and Leland Orser, with Taken 2 director Olivier Megaton once again behind the camera. Tak3n will be released on January 9, 2015.